I'm very happy with this book so far. We are a household of two with a variety of commitments in the evening. Having most meals ready means that even if one of us arrives home late or has to leave home early we can still have a delicious meal. I have tried several recipes more than once with success. We particularly like the roasted applesauce and pan-roasted chicken. My husband, the clean-up man, appreciates the lack of dirty dishes once the weekly cooking is done. My one reservation is the amount of oil used. I riffed off of this recipe using what I had: butcher-bought merguez (I live in Spain where it is readily available and delicious), pickled red onions (from this book), sriracha mayonaise (squirt of sriracha in the mayo), arugula, and goat cheese. Yum! A great, simple cookie recipe! I made a triple batch for an event at work. Everyone loved them! You can fancy them up with all kinds of stuff -flax seeds, nuts, chocolate chips, dried fruit -but when you are trying to reach a compromise to please everyone, less is more. I've tried similar recipes for lemony pasta but I really like this one using the rind of two lemons -and I scraped the rind of two GIANT lemons! I used chopped baby bok Choy in place of asparagus (prefer asparagus but had none) and my son doesn't eat Parmesan cheese (smells too much like sweaty socks) so I made crispy garlicky panko breadcrumbs. No complaints from anyone. A very good quick pickle--I have continuously kept this in rotation since I bought the book: have used for a variety of reasons, but particularly delicious in shrimp tacos and merguez sausage sandwiches. I used brown sugar when I ran out of white. Still good, but I prefer white. Really simple and really delicious. I reduced the amount of honey because my strawberries were already pretty sweet. 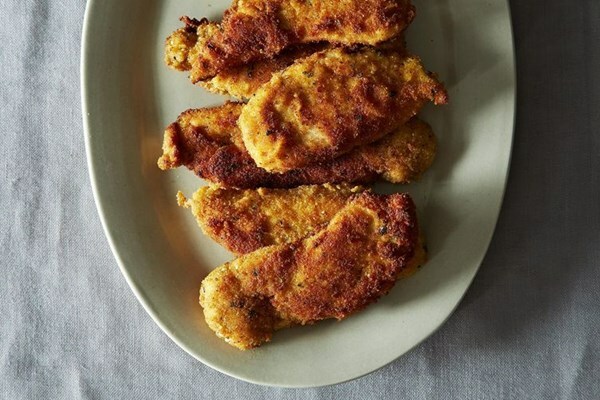 This was a nice, easy dish for a weeknight meal. Served with the Chile mint zucchini and fried polenta, it was really good. Chicken was moist and flavorful with crispy skin. A simple, delicious way to roast zucchini. While the chile mint dressing is wonderful, you can use any vinegrette-style dressing you have in your fridge. Especially yummy with Dijon-based dressings. I had a container of meat sauce in the freezer with the perfect amount to make 1/2 of this recipe. Mixing everything together (rather than sprinkling a thick layer of mozzarella on top ) was a nice change. I did add lots fresh basil to my thawed sauce to use some up. However I lost my nerve twice. I could not bring myself to cook my dried pasta (penne) for only 3 minutes (so I went for around 2 or 3 shy of done) AND my oven is not a great performer (but it is a great smoker!) at 500 degrees (so I went with 425 until hot and bubbly). A shower of Parmesan on top and dinner was delicious! This is good! A nice mild spice cake, and the frosting is excellent. It was nice to keep it on the counter to enjoy with the menu through the week. Made this as part of the weeklong strategic menu. This was amazing and so easy as cooked overnight! Served with spicy cauliflower and salad, it was a great fall dinner with enough left over for sandwiches. We liked this but, then again, we like spicy roasted anything. As part of the week long dinner strategy, we found this was not enough to stretch out into other recipes and the rest of the week and we are only two adults and one toddler. Because I made this in November, I substituted Food Lab's 15-minute Pantry Tomato Soup, easy and excellent. I adore making this soup around this time of year when there is an abundance of tomatoes. I always add a pinch of sugar, which seems to intensify the tomato taste. Lovely with the herb oil and freshly baked bread. A delicious and easy way to use leftovers. I used the vinaigrette all week. Delicious and easy. It uses a great deal of olive oil and a small amount of cream. The oil adds to the taste but makes it too high-calorie to eat often. I thought this was pretty good but my husband didn't like to due to the anchovies. It makes a ton even after using it for the week so I am going to have freeze it in cubes and then sneak it into things when my husband isn't looking. This creamed kale was more like chopped kale. I had to triple the amount of cream to get the moisture described in the recipe. Even though I removed the stems and veins, I think fall kale is not ideal for this recipe - too tough. Maybe use in the spring or with spinach instead. I love this technique - will definitely use again. Made this as part of week-long menu number 3 from this book. It was good the first night with all the toppings but we found the rice didn't taste great after reheating for other combos. Made this as part of the week-long menu. I had to use short ribs instead of oxtails which are not readily available here. I didn't skim the fat and that was a mistake making for a greasy meal that we didn't really want to eat again after the first night. Perfect, perfect beef stew especially on a cold winter night. The flavor is a perfect explosion of comfort and richness. Delicious - we used butternut and acorn. We also used greek yogurt instead of cream and added a little vadouvan. I made this as part of the week-long meal plan and I would have to say it was pretty boring tasting. We just ended up with a lot of leftovers we had to throw away. Even in its other recipe permutations, it needs a serious flavor boost. I like that the authors walk you through the grocery list for each week’s meals, and also include instructions for how you can prep the components of the meals ahead of time. The subtitle says it all: "A playbook of recipes and strategies for the week ahead." The biggest, most fabulous treat of the book is having seven whole days planned, grocery list included, for you. The plans are heavily loaded to batch cooking at the start of the week, with some small tasks later on. Perhaps the best and most useful way this book influenced my kitchen life is in the way Amanda and Merrill helped me see leftovers in a new light. A smart, inspiring cookbook showing how to plan, shop, and cook for dinners (and lunches and desserts) all through the week. The secret? Cooking ahead. A New Way to Dinner teaches readers how to maximize (and enjoy) time in the kitchen. 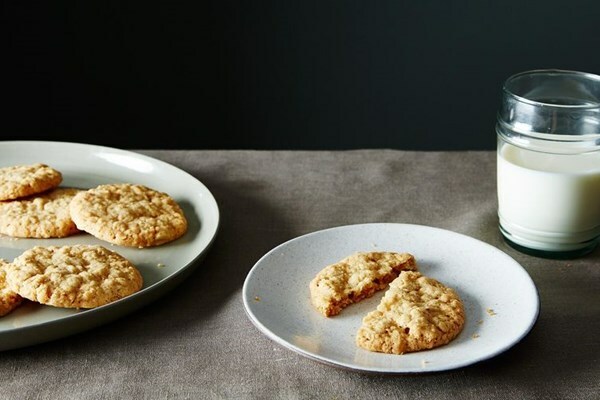 Food52 founders Amanda Hesser and Merrill Stubbs start with flexible base dishes made on the weekend, which are then used in multiple ways for quick weekday meals—just as they cook for themselves and their families. Each author gives menus for every season of the year, providing dependable recipes and clever tips and strategies that yield delicious results. 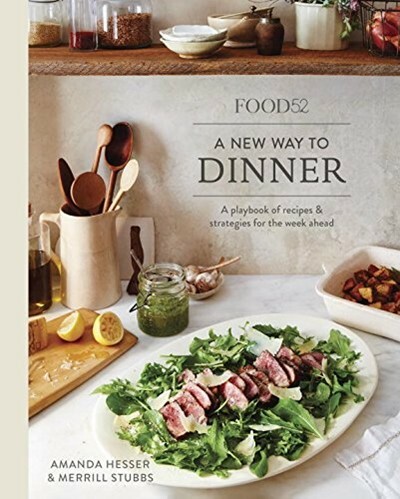 A New Way to Dinner lays out the building blocks of modern meal planning, encouraging readers to be creative, confident, and resourceful in the kitchen all year-round.